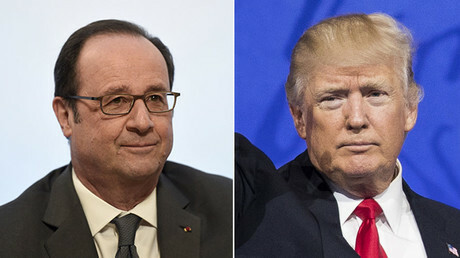 In an interview with several European newspapers, outgoing French President Francois Hollande said that his “ultimate duty” before leaving office is to prevent Le Pen from winning the upcoming presidential election in France. The interview was published in Le Monde, La Stampa, the Guardian, La Vanguardia, Suddeutsche Zeitung, and Gazeta Wyborcza. “My ultimate duty is to make sure that France is not won over by such a program, and that France does not bear such a heavy responsibility,” Hollande emphasized. Hollande added that the “threat” of a Le Pen victory “exists,” because “the far right haven’t had such high level [of support] for the past 30 years,” Le Monde reported. 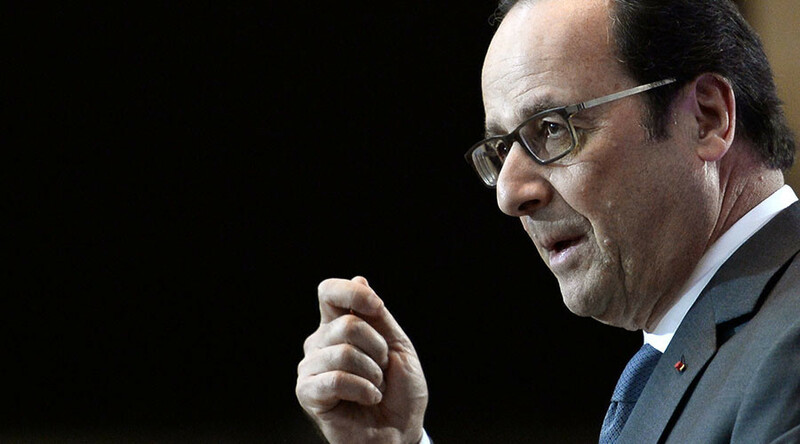 “For if the candidate of the National Front wins, she will immediately start a process of exit from the eurozone and even from the European Union,” Hollande warned, noting that this is a key element in populist rhetoric. “It is the goal of all the populists, wherever they are: To leave Europe, to close the world and to imagine a future surrounded by barriers of all kinds and borders defended by watchtowers,” he said. Hollande also touched upon Brexit. The French president said he was sorry about Britain leaving the bloc, but emphasized France’s position that Britain cannot quit the EU and still retain the benefits of membership. Hollande went on to warn the UK that it will become “an outsider to the European Union” after Brexit, according to the Guardian. “The UK’s problem is this: it had thought that in leaving Europe it would tie up a strategic partnership with the US. But it now happens that the US is closing itself off from the world. The UK has made a bad choice at a bad moment. I regret that,” the British news outlet cited him as saying. Right-wing Le Pen is one of the leading candidates in France’s presidential election campaign, which is set to be conducted in two phases in April and May. Her program includes instituting a harsh anti-immigration policy and exiting the EU. Among the other front runners is independent centrist Emmanuel Macron, who is rapidly gaining ground in the polls as the candidacy of scandal-hit François Fillon quickly loses momentum. On Sunday, a Kantar Sofres poll showed Le Pen getting 26 percent of votes in the first round, with Macron receiving 25 percent and Fillon 17. It is currently thought that Macron would emerge as the winner in a run-off with Le Pen.